Shopping for Dragon Ball Mugs? Take it to the next level with this Dragon Ball Z Super Saiyan Mug! 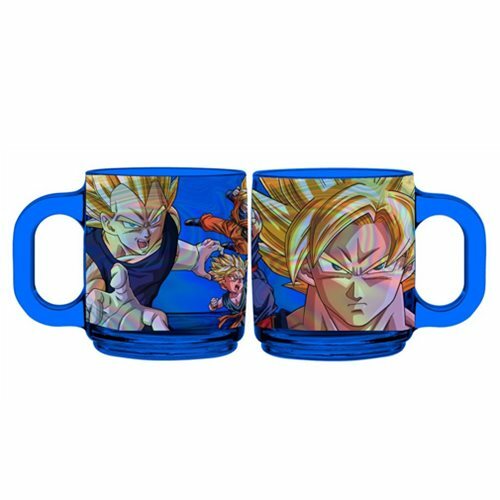 This glass, cobalt blue mug features awesome images of different characters in their super saiyan form. This Dragon Ball Z Super Saiyan Mug holds up to 16 ounces of liquid. Hand wash only. Not dishwasher safe. Do not microwave. Ages 14 and up.